Report scams to the FTC online or by phone. How to protect your personal information from identity thieves. Tips for dealing with robocalls. What you can do to avoid, detect and get rid of viruses and spyware. Phishers are looking to lure you with bogus emails and pop-ups that seem safe. Will you take the bait or live to swim another day? Be aware of the warning signs and hang up on phone fraud. This video describes how consumers can evaluate online reviews and recommendations when shopping. Young people learn the key concepts of advertising, competition and other consumer topics in a virtual mall setting. Many everyday activities allow businesses access to information about you. Looking for a great product at a great price? These tips can help. This video shows what happens when one person gets a free credit report from AnnualCreditReport.com and someone else gets a “free” credit score from a TV ad. Know your rights when employers check your background. Illegal robocalls are the rise and the FTC is working to solve the problem. If a telemarketer asks for money or account information to collect a "prize," hang up. It's a scam. Here’s why you don’t want to pay fees to a business that promises to lower your monthly car payment or help stop a repossession. Talk to your kids about staying safe online. Read the fine print — or free trials can wind up costing you. Use these computer security tips to help protect your computer and your personal information. This video shows what happens when someone makes just the minimum payment on a credit card balance. ​Can you spot spam scams? This video shows some common money wiring scams, and what happens to some people who meet the scams. Protect your computer from spyware and viruses that can cause it to run slowly or give fraudsters access to your personal information. Before you research travel offers, prepare yourself. Read these trip tips. This video shows kids how they can stop cyberbullying by standing up for themselves or someone else. Learn how to protect yourself and your personal information online. If you use public Wi-Fi networks, take these steps to protect your personal information. FTC attorney Kati Daffan shares five strategies for fighting illegal robocalls in this video produced by the GSA. Knowing the rules of the U.S. Diversity Lottery can help you avoid a scam. Stop wireless hackers by answering these wireless security questions. Test your savvy when it comes to making friends online. If you want to know how bright a light bulb is, look at its lumens. Learn the signs of a business opportunity scam. Helps kids learn why and how to stay safe online. Learn how to identify scams promising treatments for cancer. Can’t turn your computer on or off? Is it acting up, running slow, opening pages you didn't click, or displaying pop-ups constantly? There's a good chance your computer's been hacked or infected with a virus. Here’s what to do. Identify and avoid job and business opportunity scams. You've already lost one laptop, Agent Smith. Your job's on the line if it happens again. Make wise choices this time, and it's mission accomplished. The things kids post online could have an impact on people in the real world. Answer questions about health products and information online. Teaches kids how to protect themselves online with privacy settings and good online practices. This video shows what happens when someone learns the hard way why she should care about her identity. Learn how to tell fact from fiction when it comes to weight loss products. This video shows what happens when someone gets a prepaid card without checking out the fees first. Recognize and report scammers who falsely promise help with immigration. Get a glimpse of your future as your investing intelligence is put to the test. Test your peer-to-peer file-sharing smarts. NCPW.gov is the one site on the web with free consumer information from federal agencies, state governments, consumer organizations and local consumer protection authorities. Learn the techniques advertisers use to relate to audiences. 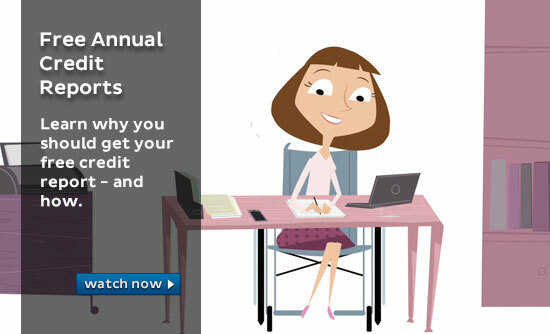 Put your online auction know-how to the test. An expert explains the inner workings of business opportunity telemarketing scams. Consumer Sentinel is a nationwide system for law enforcement to track consumer complaints. This video describes the FTC Robocall Challenge and introduces one of the winners. Medical discount plans are not health insurance. In fact, many of these plans are scams. Use Admongo in the classroom to teach kids about advertising. This video shows how someone compares the costs when choosing a place open savings and checking accounts. Young people learn the meaning behind ads. Young people identify the messages within ads. Are your friends and family getting emails from you that you didn't send? Or maybe you want to check your email, but you can't log in? Chances are your email's been hacked. Here’s what to do. Understand who the advertiser is and why they want you to take a specific action. This video shows how keeping a budget helps someone pay all his bills. Is someone using your personal information to open new accounts, make purchases or get benefits? Report it at IdentityTheft.gov and get a free personal recovery plan. This video shows how easy it is to start a conversation about scams and how to protect yourself from them. Enter the world of Admongo to get "aducated" about ads and their messages. 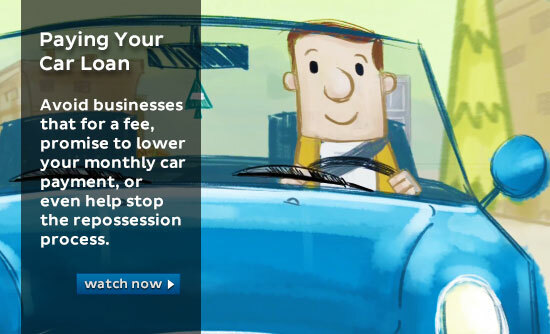 This video shows what happens if you borrow money in exchange for your car title. This video shows how someone gets into trouble with an immigration consultant – and then out of trouble again. This video shows what do to if someone steals your identity. This video shows how to rent an apartment even if you don't have a good credit history. How to spot scammers who pretend to be IRS officials to get you to send them money. Imposters promise romance to users of online dating sites to trick them into sending money. An illegal robocall could be a scam. Learn what the FTC is doing to stop illegal robocalls, what to do if you get one, and how to block the number. Getting the facts about a used car before you buy can help avoid trouble down the road. Here’s what you need to know. If you think you see a scam, talk with someone. Your story could help someone avoid that scam. Then report it to the Federal Trade Commission at FTC.gov/complaint. Your story could help the FTC stop the scammers. Callers impersonate legitimate technical support companies to fool computer users into handing over their personal information or sending money. Imposters claim to be friends or family in distress to trick consumers into wiring money. Before you shop for a car, you need to shop for financing. Here’s what you need to know. When you buy a car, the dealer also might try to sell you optional products or services known as “add-ons”— which might break your budget. Here’s what you need to know. Car ads might promise low payments, no interest, or zero down. But is there a catch? Here’s what you need to know. The first-person story of a veteran’s debt collection experience – and the legal assistance that helped him recover. Did you get a notice that says your personal information was exposed in a data breach? Visit IdentityTheft.gov/databreach to learn what you can do to protect your identity. The first-person story of a woman who was harassed by scammers impersonating court officials and lawyers, who tried to coerce her into paying hundreds of dollars for a debt she didn’t owe. The first-person story of a retired educator’s Medicare scam experience – and the FTC attorney who helped bring the scammers to justice. Understand your rights when dealing with debt collectors. Misleading ads can sound pretty plausible; learn how to sort out fact from a fib. How organizations in local communities are using the Pass It On materials. Your complaints help the FTC and law enforcement agencies conduct investigations, bring lawsuits and prevent international scams. If you have a complaint about international scams or cross-border fraud, report it at www.econsumer.gov. How to avoid a scam known as yo-yo financing when you buy a car. While some dietary supplements have proven benefits, others don’t. And some could even be risky for your health. Military.Consumer.gov gives servicemembers and military families short consumer tips on the go to help them stay mission-ready at home and abroad. Visit https://www.military.consumer.gov to learn more. How to stay ahead of the scammers with email updates from the FTC. Caregiver websites can help you find jobs, but scammers also use them to find people to rip off. If you get a pop-up to call a number to fix a virus on your computer, ignore it. It’s an imposter scam. You’ve probably seen ads promising help with your student loan debt. Some are scams – here are tips to avoid them. The first-person story of how one family responded to a family emergency scam: by putting it on the radio. Your eye doctor must give you your prescription after your fitting. It’s the law. Learn more at FTC.gov/contacts. The first-person story of one woman’s experience with a debt relief scam – and the lawyer who helped her. What are the warning signs of a scam? What to do if someone says they’re from the IRS and they pressure or threaten you to transfer money to them right away. If someone offers you a job, sends you a check, but then insists you wire extra money back; don’t do it. It's a scam. Instead, report it to the Federal Trade Commission at ftc.gov/complaint. By learning how scammers ask you to pay, find out how to spot – and stop – scams. If you get a text or call saying a loved one is in trouble and they need you to wire them money, it's most likely a scam. People’s experience with scams, and the tips to help all of us avoid scams and protect those we care about. Many charities do a great job supporting our nation’s veterans, but a few take advantage of people’s generosity. This video tells donors how to research charities to avoid donating to a sham charity. Gift cards are for gifts, NOT for payments. Anyone who tells you to pay with a gift card is a scammer. Report gift cards used in a scam to the companies that issued the gift cards. Then, report it to the FTC at ftc.gov/complaint. When a natural disaster hits or a tragic event happens, you might be looking for ways to help the people and communities affected. Unfortunately, scammers also are busy trying to take advantage. You want to make sure your money gets in the hands of charities you want to help. 사기꾼이 돈을 요구하는 방법을 배움으로써 사기를 알아채고 중단하는 방법을 알아보십시오. This video provides tips to help you donate wisely and avoid charity scams. It emphasizes the importance of researching charities before giving to make sure make sure your donation is going to help the cause and the people you care about. Learn about utility scams and how you can protect your business. 당신의 불만 신고는 FTC와 법 집행기관이 조사를 시행하고, 소송을 진행하고, 국제 사기를 예방하는데 도움이 됩니다. 만약 당신이 국제 사기 또는 국경간 사기에 대한 불만이 있다면, http://www.econsumer.gov에 신고하세요. Vos plaintes aident la FTC et autres agences de protection des consommateurs dans leur mission d'enquête et de prévention des escroqueries internationales. Si vous avez une plainte au sujet d'arnaques internationales ou de fraudes transfrontalières, signalez-la à http://www.econsumer.gov. The first-person story about a retired business consultant’s tech support scam experience, what he did about it. Learn how to spot scams against your small business. And talk to your colleagues about it, too. Scammers target small businesses with fake check scams, utility scams, and other scams, but knowing how these scams work can help you avoid them—and protect your business. Learn more at www.ftc.gov/smallbusiness. What to do if you are having problems making your student loan payments, and how to avoid a student loan debt relief scam. How to avoid big fees when cashing a paycheck. Learn how fake check scams work and how your small business can avoid them. Learn about directory listing scams and what you can do to protect your business from this scam. Learn how to avoid business coaching scams that target your small business. Learn how office supplies scams happen and how your small business can avoid them.